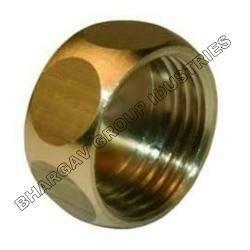 With the support of our dexterous work force, we are offering our clients with highly safe Gas Pipe Fittings. 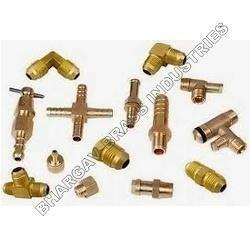 These are properly utilized by the respected user to maintain the flow of gas from cylinder to burner. These are manufactured using high-grade raw material and advanced machine. Bouchon Laiton Femelle offered comprise brass gas component and features superior threading support as well as precision construction finish so as to provide for lasting usage. 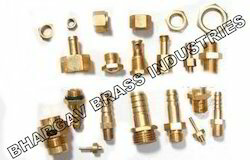 Further, we can offer these brass components in both standard and customized finish specifications as demanded by the customers. Some of its features include available as per different industry standards; choice of different surface treatment options; study construction finish; option of different threading support. We are instrumental in offering Gas Regulator Components to our respected patrons. These are extensively used for safe working of burner and gas cylinders which are at the first priority. These are highly appreciated by the users for their reliable operations. 1/2 npt threaded valve. forg graded material. 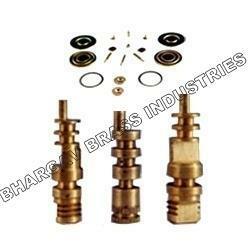 Looking for Brass Gas Components ?